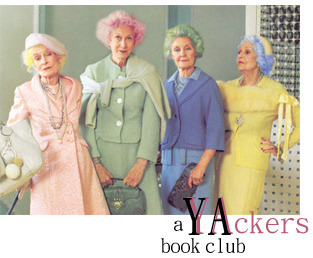 Back in the fall, I was invited by the lovely Laura at A Jane of All Reads to participate in a book group. We read YA books, snark quite a bit, and then post about it on our blogs (so you all can be jealous?). This month was mine to be Keeper of the Book, and the one out of my nominations that was chosen was the “smart magical nonsense” of Hex Hall. So: the basic plot for those of you with your heads under rocks…. Sophie Mercer is a witch. She’s been raised for the past 16 years by her human mom, but after a prom night gone bad (don’t ask), she’s shipped off to juvie for Prodigium (that is: fairies, witches and shapeshifters): boarding school Hex Hall. There, she makes a best friend in Jenna, her pink-loving vampire roommate; develops a wild crush on the hottest warlock on campus, Archer Cross; makes enemies of the only other dark witches (read: the popular girls); and eventually crosses paths with a demon. 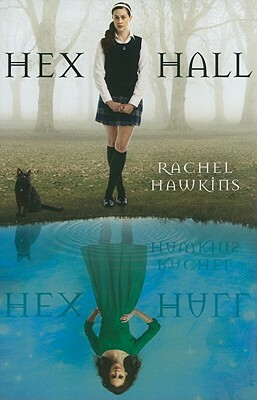 Part boarding school story, part teen crush, part mystery, and all sorts of awesomeness, Hex Hall is quite the fun read. Sya: I have it on my kindle and plan on reading it before the hex hall discussion. Donna: I’m almost done with mine. I’m ambivalent. I’m entertained but I’m not blown away by it or anything…. Just finished and read the teaser for the next book. If there’s more Cal, I may read on. He’s awesome. Overall the whole book reminded me a bit of Mari Mancusi’s titles in tone and voice but not as satirical. Entertaining but still not blown away. Did like the ending though. Sya: I think that that’s kind of the point – it’s solidly entertaining without being even remotely challenging. And yes, there’s quite a lot more Cal in book two and he’s particularly swoonsome on a regular basis. Me: I agree with Sya: it’s good, fluffy, magical chick-lit. I don’t think it’s supposed to blow you away. And I agree, too, Donna: the ending was quite good. Did you see any of it coming? Also: what think ye about the love triangle nonsense (it develops more in book 2)? Sya: I think the love triangle is a bit of a non starter… It’s not been played up as that much of a plot point as far as I can see (I’ve just started the third book) so far. Melissa: Oh, good. Actually, I was worried about that (in the third book); I didn’t want it to become your typical YA-we-can’t-just-have-one-love-interest thing. Sya: I really am right at the beginning of the third one so out could come into play. Will keep you posted. Me: Thanks! (I really do need to get my hands on that one…) I have higher hopes than mediocre YA tropes for it. Donna: I saw the big baddie ending up being someone close to Sophie. I just didn’t have it pinned down as who. As for Alice, she didn’t sit right although I didn’t see the entire thing coming. It’s not too often I see something coming full force. When I do then it’s really bad! I didn’t even realize there was a love triangle, unless you count Elodie-Sophie-Archer. And I found it slightly hypocritical of Archer to rank on Sophie’s name for the ‘ie’ when he’s dating the Cliff Notes version of Melodie. Sya: I kind of figured that Alice didn’t have the best of intentions but I was still taken aback by the ending and liked the way it set things up for book two. On the love triangle front, it’s a bit more prevalent in the third book but still in a sort of background way and doesn’t detract from the rather exciting and sinister story. Me: Donna: “And I found it slightly hypocritical of Archer to rank on Sophie’s name for the ‘ie’ when he’s dating the Cliff Notes version of Melodie.” HA! I totally agree. Sya: Rather exciting and sinister??? I need to find that one. Sya: I just finished it. I thought it was completely awesome – such a lot of fun and actually even a wee bit moving in places. Great way to end the series. Sya: I’m not quite sure what thread I should be posting my Hex Hall thoughts so I’m jumping in here. I thought the book was great. I read it for the second time for this discussion and followed it up with the second and third in the series. And I really enjoyed the whole lot. Sophie is a fun and believable protagonist, pleasingly flawed and endlessly entertaining. The mean girls are particularly fun to read and Archer is a bonafide hottie – played by Ethan Peck in my head (also, Sophie’s dad? Totally Richard Armitage. Obvs). Cal is also rather scrummy and I actually really liked his character arc as the trilogy continued. In fact, I was pleased that in a trilogy that is essentially light reading the characters really did display some depth. The plot itself kept me reading and while I could see that Alice wasn’t all she seemed, I didn’t really see the whole demon-family thing coming. The writing was fluid and pleasingly visual – I had a really good sense of what Hex Hall looked like – and all in all I’d recommend these books. Will be interested to see what Rachel Hawkins comes up with next. Me: I agree about the depth of the characters. 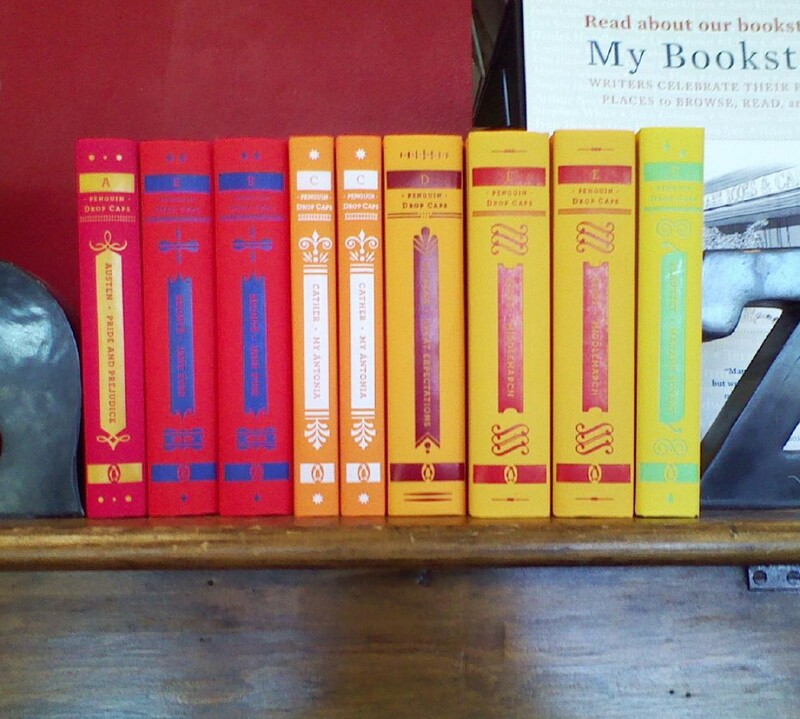 In my mind, these are a lot like Ally Carter’s books: a lot of fun, but smart, engaging fun. Entertaining, without making you feel guilty. And proof that brain-candy doesn’t have to be written badly, or just hit the same note over and over and over again. I also like that it’s basically clean, geared toward the age group, without pandering and talking down. Donna: I grew a little tired of Carter’s Gallagher girls books but that quirk kind of wore off. I’d have to keep reading the HEX HALL series to see if I’d feel the same way but since I’m more amenable to this Mancusi-ish quirk it might have more staying power for me. The GG series kind if got away from me and went a little too quirky. Donna: Mancusi is really over the top but in a way it’s really palatable for me. It’s probably totally personal as she and I share a Lost Boys love and she satirizes current camps to no end so the joke ran longer for me. Haven’t read Heist Society and I think I got to book 2 in GG before I didn’t feel much of a need to keep reading. I may have read three. And that ends our discussion… we get a little scatterbrained when talking, no? Have you read Hex Hall (or any of the sequels — my reviews coming next week)? What did you think? I have heard lots of good things about this series, but that is as far as I have got. I actually saw two of the books at Wal-mart last night and was reminded I really need to check the series out. I apologize for my absence in this discussion. I will do better. I haven't read the last book but I fell head over heels for Hex Hall. It's a nice little change from all the dark paranormal YA out there and I love a good laugh. And you usually can't lose when you go with a book set in a boarding school. I have read this series but like some of you I haven't gotten my hands on the last book. I did enjoy that it was light and funny at times. I read and reviewed Hex Hall and Demonglass last year. Loved them! I'm so re-reading them next month with Spell Bound and I can't wait! I haven't read many other boarding school books, so the environment was still unique to me. But I'm with you, I loved the lighthearted tone that surrounded a pretty sinister premise. I wasn't as thrilled with the triangle in Demonglass, but I found it a LOT more plausible and well-handled than most other triangles I read. Again, cannot wait to get my hands on Spell Bound and revisit the series as a whole!